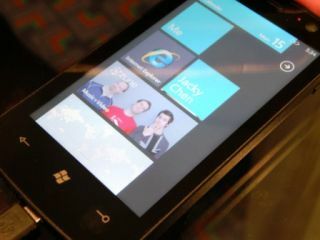 Microsoft has told TechRadar that it will be adding 'polish' to Windows Phone 7 before launch - meaning some annoying niggles could be gone. Early previews of the operating system highlighted niggles in the system, such as long words not fully appearing on lists. "There is a slight amount of polish that we'll do throughout the system between now and launch, although it's largely complete. "From a feature standpoint there won't be anything new, so we're now at the point where we're trying to tighten up and polish. "There is a design aesthetic we chose, but in cases like this (where lists don't show the rest of word), there is some polishing thing to be done before launch, and those are the type of things that may change." Our hands on with the new build of Windows Phone 7 yielded a number of reasons to be more positive about the impending launch than previous Windows Mobile builds, and eradicating little problems like this will improve the appearance of the new platform in the eyes of the consumers. Now, what about copy and paste...?